A couple of small announcements that we wanted to make about the site. 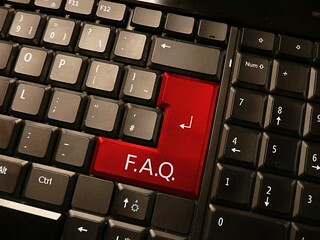 There is now a Frequently Asked Questions (FAQ) section that’s live. We’ll try to keep that up-to-date with the questions that we get asked most often. We’ve also added a Works-in-Progress section to the Library. I (Brian) have been getting asked repeatedly how I’m coming along with the next Derrick and Max book (and also about the next D Lee Warren book). Well, now you’ll be able to tell where I am with the projects that are actively being worked on. If it doesn’t seem like they’re going up very quickly, that would be because I work at a snail’s pace. Slow and steady wins the race, right? Maybe? Also, if it’s been awhile since you’ve stopped by, we’ve made minor changes and improvements here and there to make the site more visually appealing and easier to navigate. For example, there’s a new welcome page when the site loads and a reorganizing of the menu items so that it follows more of a high-level from left down to a more low-level toward the right. Please let us know what you think of the changes and if you have any suggestions for further improvements.